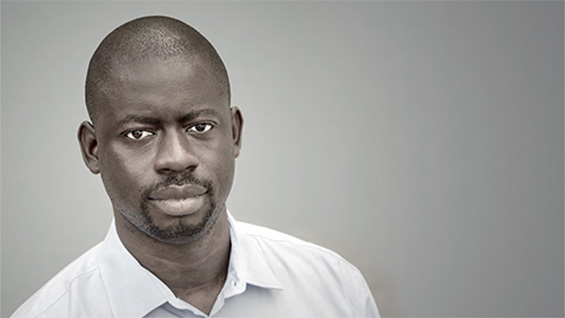 Felwine Sarr delivers a free, public lecture as part of the Intra-Disciplinary Seminar series. A key figure of western modernity was the promise of progress in all domains of social life, driven by scientific revolution. The various crises experienced by societies since the early 20th century (world wars, fascisms, environmental challenges) have shown the failure of this promise. To reopen the future is to consider history as a space of possibility. Felwine Sarr’s lecture proposes ways of reclaiming the future through a renewed thinking about history, epistemology, and the arts. Felwine Sarr is a writer, a scholar, a publisher, and a professor of economics at the Université Gaston Berger of Saint-Louis, Senegal. His lectures and academic research focus on epistemology, economic policy, and the history of religious ideas. Among his many books are Dahij (Gallimard, 2009); 105 Rue Carnot (Mémoire d'encrier, 2011); Méditations africaines (Mémoire d'encrier, 2012); and Afrotopia (Philippe Rey, 2016), an essay in which he calls for conceptual decolonization and a re-appropriation by Africans of the metaphors of their future. Felwine Sarr is also an editor of the Journal of African Transformation (CODESRIA-UNECA). In 2016, with Achille Mbembe, he founded the "Ateliers de la Pensée", which gathers Afro-diasporic scholars and artists in Dakar and Saint-Louis in order to reflect on our world’s transformations. With Bénédicte Savoy he co-authored the ground-breaking report on The Restitution of African Cultural Heritage, submitted to the French Presidency in November 2018.